Interleukin 33 (IL-33) is a cytokine belonging to the IL-1 superfamily, it induces cells to produce type 2 cytokines. IL-1α, IL-1β, and IL-1RA have been renamed IL-1F1, IL-1F2, and IL-1F3. IL-33 is also called IL-1F11. Whereas IL-1 and IL-18 promote proinflammatory and TH1-associated responses, IL-33 induces the production of TH2-associated cytokines. IL-33 was previously named NF-HEV nuclear factor (NF) in high endothelial venules (HEVs) since it was originally identified in this location. IL-33 is also called IL-1F11 to note its place as a member of IL-1 superfamily (IL-1F11). IL-33 binds to its receptors triggering NF-κB and MAP kinase signaling pathways that drive production of type 2 cytokines (IL-5 and IL-13) from Th2 cells. IL1RL1 stands for IL-1 receptor-like 1 protein. Mutations in the gene for IL1RL1 (ST2) have been linked to atopic dermatitis and asthma. ST2 is also called IL1RL1, T1, DER4 and Fit-2. ST2 is highly expressed on mast cells and on TH2 cells. High levels of sST2 has been found in the sera of patients with acute asthma. IL-33 is markedly elevated in the serum of patients during an anaphylactic shock and in atopic human tissue. Phospholipase D1 (PLD1) catalyzes the hydrolysis of phosphatidylcholine (PC) to produce phosphatidic acid and choline. PC-specific PLD1 affects numerous cellular pathways, including signal transduction, membrane trafficking, and the regulation of mitosis. Sphingosine-1-phosphate (S1P) is a signaling sphingolipid. Various stimuli increase cellular levels of S1P by activation of sphingosine kinase (SPHK), the enzyme that catalyzes the phosphorylation of sphingosine. S1P regulates angiogenesis, vascular stability and permeability. S1P is a major regulator of trafficking of T- and B-cells. S1P interaction with its receptor S1PR1 is needed for the egress of immune cells from the lymphoiod organs (such as thymus and lymph nodes). Some immunosuppessants such as FTY720 do not let lymphocytes leave the lymph nodes through blockage of S1PR. Fingolimod works in multiple sclerosis by binding to S1P receptors and acting as highly potent antagonist (NEJM, 2012). IL-33 expression is increased in patients with anaphylaxis and atopic dermatitis. IL-33 is a potential therapeutic target against allergy. 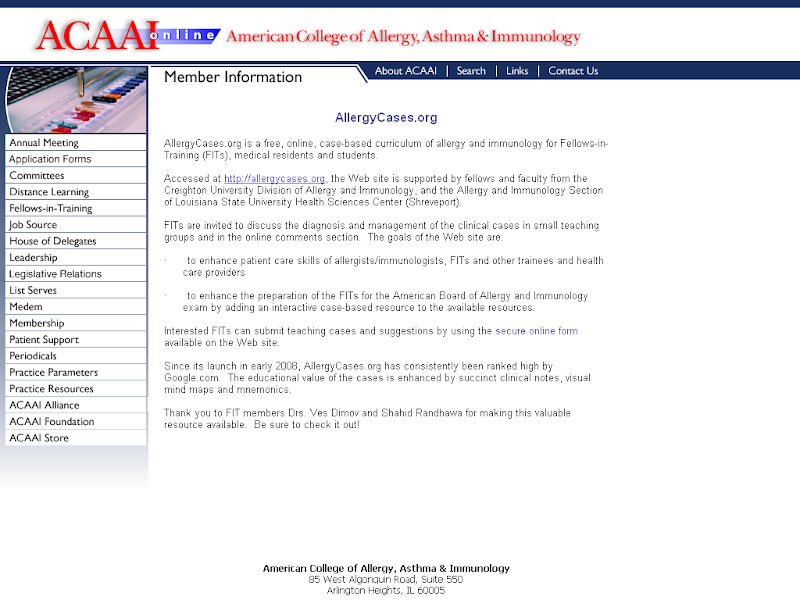 IL-33/ST2 pathway may provide new therapeutic targets for allergic rhinitis and asthma (http://goo.gl/3utyB). cells is NFkB dependent, the induction of Th2 cytokines is NFkB independent. For example, IL-1, IL-3, IL-6, TNF-alpha, MIP-2, MCP-1, and MIP-1 syntheses are dependent on NF-kB activity. IL-5, IL-13, Eotaxin-2, RANTES or TARC syntheses are are independent of the NF-kB pathway. Chemokine (C-X-C motif) ligand 2 (CXCL2) is a small cytokine belonging to the CXC chemokine family that is also called macrophage inflammatory protein 2-alpha (MIP2-alpha), Growth-regulated protein beta (Gro-beta) and Gro oncogene-2 (Gro-2). Chemokine (C-C motif) ligand 2 (CCL2) is a small cytokine belonging to the CC chemokine family that is also known as monocyte chemotactic protein-1 (MCP-1). Chemokine (C-C motif) ligand 4 is also known as CCL4 and MIP-1. Chemokine (C-C motif) ligand 24 (CCL24) is a small cytokine belonging to the CC chemokine family that is also known as Myeloid progenitor inhibitory factor 2 (MPIF-2) and Eosinophil chemotactic protein 2 (Eotaxin-2). CCL24 interacts with chemokine receptor CCR3 to induce chemotaxis in eosinophils. Chemokine (C-C motif) ligand 5 also known as CCL5 or RANTES. CCL5 was earlier called Regulated upon Activation, Normal T-cell Expressed, and Secreted, abbreviated RANTES. Chemokine (C-C motif) ligand 17 (CCL17) is a small cytokine belonging to the CC chemokine family that is also known as thymus and activation regulated chemokine (TARC). In the presence of IgE, IL-33 induces anaphylactic shock by rapidly activating mast cell degranulation. Although mast cell activation and degranulation by IL-33 is independent of the presence of T or B cells, the presence of preformed IgE is critical. In vitro the IgE sensitization need to be for at least 16 hours, and shorter sensitization durations failed to primed the mast cells for IL-33–mediated degranulation. What is the most potent chemokine (chemoattractant) for eosinophils? Eosinophil chemotactic protein 2 (Eotaxin-2) is the most potent chemoattractant for eosinophils but IL-5 is the most specific stimulant of their production. The cytokine interleukin-33 mediates anaphylactic shock. Pushparaj PN, Tay HK, H'ng SC, Pitman N, Xu D, McKenzie A, Liew FY, Melendez AJ. Proc Natl Acad Sci U S A. 2009 Jun 16;106(24):9773-8. Epub 2009 Jun 8.